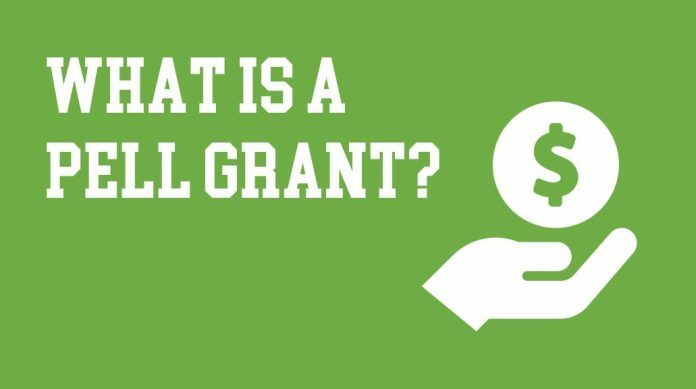 What is a Pell Grant and Am I Eligible? Should Pell Grants be Part of Your College Financing Strategy? If you’re trying to figure out how to pay for college, it’s important to consider all of your options. In addition to scholarships and loans, many students may be able to pay for part of their educational expenses using Pell Grants. One of the most widely used forms of financial aid, federal Pell Grants are awarded to nearly one-third of all undergraduate students. In this article, we’ll talk more about what makes Pell Grants unique, what the eligibility requirements are, and what you need to do in order to obtain a Pell Grant. While the Pell Grant program may not cover all of your educational expenses, it can be an important part of helping you and your family pay for your continuing education. Pell Grants are financial awards provided to students by the federal government. Pell Grants make up the largest federal grant program, and they are available mainly to undergraduate students. Federal Pell Grants are awarded annually to eligible students. The amount of funding available from federal Pell Grants depends on the level of government funding given to colleges. The maximum amount awarded to each student annually changes from year to year, but for the 2017- 2018 academic year, the maximum award was raised to $5,920 per student. Eligible students can reapply for the Pell Grant each year they remain in school by completing their Free Application for Federal Student Aid, otherwise known as the FAFSA. How are Pell Grants Different from Other Sources of Funding? One of the main ways that Pell Grants differ from other common sources of funding available to students is that Pell Grants are not loans. Unlike student loans, grants are awards that do not have to be paid back. Pell Grants are also unique in that they are given to students based solely on their family’s financial need. In order to be eligible for a Pell Grant, students have to demonstrate that they have financial need. Eligibility for Pell Grants is determined by your family’s total income. While students whose families earn less than $50,000 a year are eligible for Pell Grants, most Pell Grants go to students whose families earn less than $20,000 per year. Because Pell Grant eligibility is based only on financial need, other factors such as your GPA and participation in extracurricular activities are not considered when awarding Pell Grants. That said, Pell Grant recipients do have to maintain a 2.0 GPA while in school in order to maintain their eligibility. In order to be eligible for a Pell Grant, you must have completed your high school diploma, earned a GED, or completed an approved homeschool program. Most recipients of Pell Grants are first-time undergraduate students that have not previously completed a degree, however, there are cases in which first-time graduate students are also eligible for Pell Grants. Students who are enrolled in a post-baccalaureate teacher certification program may be eligible for a Pell Grant as well. Pell Grant eligibility is also limited to those students who meet the general education eligibility requirements for federal student aid. These requirements include being a US citizen or eligible non-citizen and being enrolled in an eligible degree or certificate program at an accredited academic Institution. Many students who receive Pell Grants receive less than the maximum annual amount. The amount you receive is determined by how long you are in school and how great your financial need is. While part-time students are eligible for Pell Grants, they may not receive as large an award as those given to full-time students. What do I Need to do to Apply for a Pell Grant? Just as with other forms of federal student aid, and most university-sponsored financial aid, applying for a Pell Grant requires that students complete the FAFSA. In order to maintain your eligibility for the Pell Grant, you’ll have to submit your FAFSA application annually for each year that you remain enrolled in your college, university, or eligible vocational school program. Your Pell Grant award eligibility, as well as the amount you receive, is determined by your answers to the FAFSA questionnaire. The US Department of Education determines your financial need by taking the answers you enter into the FAFSA questionnaire and plugging them into a standard formula that determines your family’s expected financial contribution (EFC) for your education. Because Pell Grants are distributed to eligible students on a first come first served basis, it’s a good idea to submit your FAFSA as soon as you are able. The FAFSA for the following academic year becomes available on October 1st. When applying for financial aid, it is important to carefully review your chosen college’s specific requirements and preferences. Make sure that you meet all deadlines and fulfill all requirements in order to receive your maximum possible award. You can check the status of your Pell Grant eligibility by logging onto your FAFSA account. This is available at www.fafsa.gov. Students find out about how much they’ll receive in Pell Grants when they receive financial aid packages from their schools. Financial aid packages let students know how much they will need to pay for school, and include information about scholarships and loans, along with the other forms of aid such as work-study awards and Pell Grants for which the student is eligible. For most universities, students need to formally accept their financial aid award before it can be processed. How will I Recieve my Pell Grant Award? Pell Grant awards are distributed to your school. Your school can apply the total amount of your Pell Grant directly towards your tuition and school fees, pay you directly using a check, or through a combination of both. Schools must distribute Pell Grants at least one time per academic term. For many schools this is done on a semester basis, however other schools use quarters or trimesters. Schools are required to inform you in writing how and when your Pell Grant award will be distributed.